The Opening Hours of Szechenyi Baths are no longer divided into two kinds opening times from 1 March, 2018: both the outdoor pools and the indoor facilities are open until late, 10 pm. 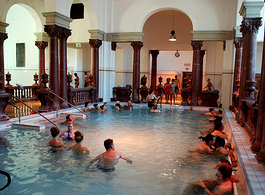 In other words, the open air facilities, namely the 3 pools in the open air, have the same opening hours as the indoor facilities (15 pools inside for bath guests, steam rooms, saunas, massage parlors, beauty salon, 3 pools inside for hospital patients for medicinal water treatment, gym, etc.). 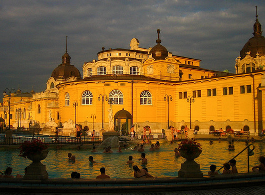 When is Szechenyi Bath Open? 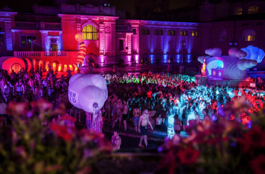 Is Szechenyi Spa Baths open at night, or early morning, what about public holidays in Hungary? The opening times at Szechenyi Spa Baths are very flexible, we believe. 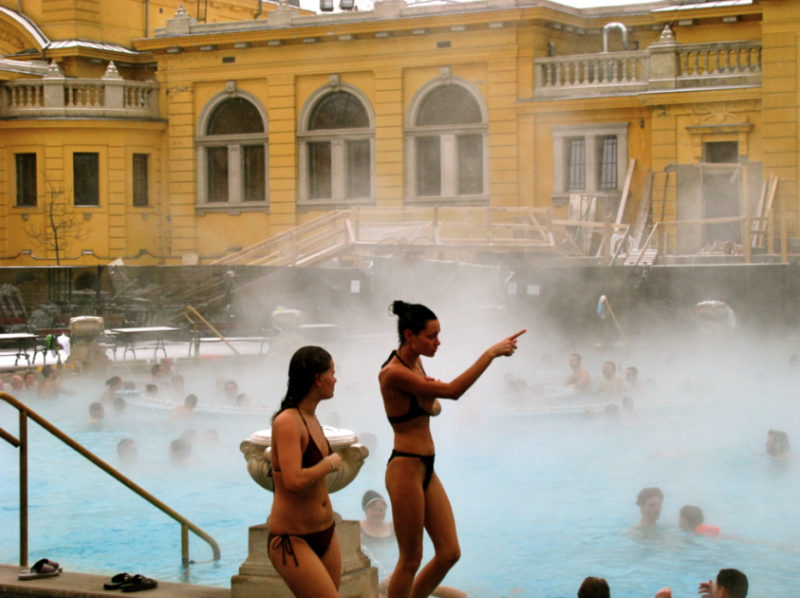 Basically, Szechenyi Bath is the only thermal bath in Budapest that is open until very late on a daily basis. 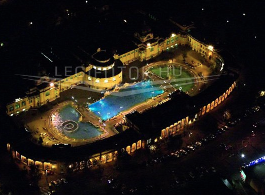 All thermal facilities of Szechenyi Baths and the outdoor pools are open from 6am to 10pm. The cashiers of Szechenyi bath close one hour before closing time, and all visitors need to leave the pools of Szechenyi Furdo by 9:45 pm(15 minutes before the bath closes). If your Budapest break falls on a public holiday in Hungary, do not despair, Szechenyi Furdo is open even on holidays. Please check the current opening hours for the upcoming public holidays, March 15, Easter, August 20, October 23, November 1, Christmas and New Year times before your planned Budapest visit). 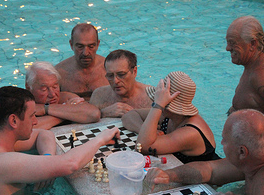 Enjoy your time at Szechenyi Baths! Today I have bought a ticket for two for 1st January 2019. Your website says that Szeceny Baths open at 10 Am on 1.1.2019. Can you, please, tell me what is the closing time on that day? Hello! Will you open on January 1st 2019 ? Do we need pre book ? We recommend the online bookings. I want to buy tickets for 1st of Jan. Is it sold out? Or I could buy it inside? If I want to come to bath early than 9am should I buy ticket inside bath? until which time is it possible to enter? because it says only help desk open till 6pm…. the check in is until 6 pm with the online tickets. You can buy entries on the spot until 9pm, the baths is open until 10pm. Dear all, We have booked a double thermal massage 45 m for 2 but we didn’t receive a confirmation email. The payment was made by Kalaitzian but the booking is made is made under my name. Could you please confirm our booking? as you have received the confirmation in the meantime, all I have to say is enjoy your visit at Szechenyi Spa Baths! I see that you’re open from 6am but that help desk for online reservations only opens at 9am. So, if we book online, it is not possible to come before 9am? Can we come at 6am if we buy tickets on the spot? Also, can we come to the baths in the morning, leave, and then come back later in the afternoon with the same day ticket?